For those bored by Broadway, tired of traffic, or caught up in the chaos that is New York, a nearby Zen Buddhist monastery offers peace of mind in meditation. 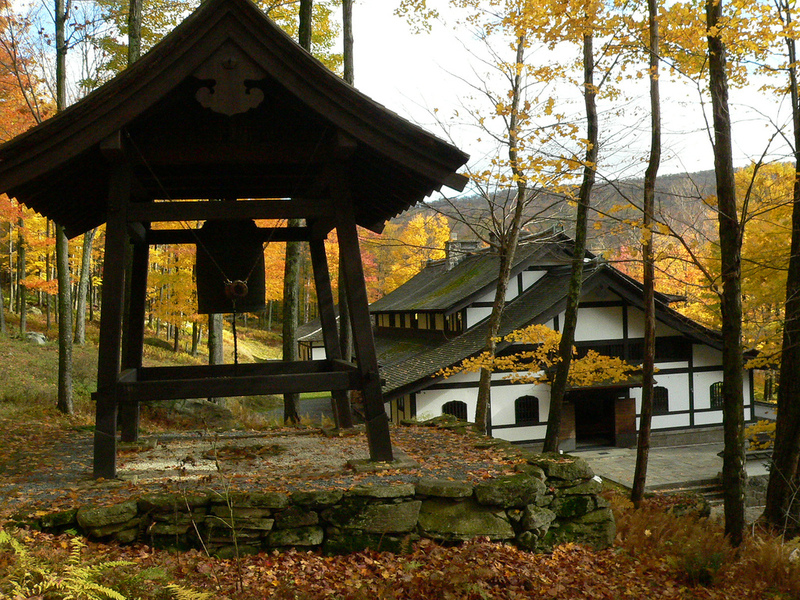 Nestled in the Catskill Mountains, little more than one hundred miles north of the ‘City that Never Sleeps’ those seeking spiritual enlightenment can find it at the Dai Bosatsu Zendo Kongo-ji monastery. Set on 1,400 picturesque acres with its own lake, the secluded Japanese-style monastery seems to leave the world behind; the only clue that New York is anywhere nearby is the sound of the occasional plane passing overhead. 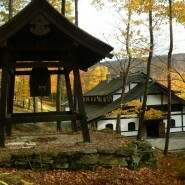 With a mission of offering guests the opportunity to acquaint themselves with the practice of Rinzai Zen Buddhism in a working monastic environment Dai Bosatsu has up to eight yearly Introduction to Zen weekend workshops that emphasise basic zazen (sitting posture and breathing for meditation), chanting, and formal procedures for meals. Guests can participate as much or as little as they please. For some, simply soaking up an atmosphere of constant chanting and the pervading smell of incense is enough to calm the stressed spirit, but most guests find they get caught up in the communal spirit of the monastery lending a hand with the resident monks’ daily chores of wood cutting, gardening, cleaning and food preparation in-between prayer sessions. Some might argue that the 5:30am wake-up gong that reverberates up and down each hallway offers them little choice. A rigid meal schedule is also announced with a gong while chanting from a prayer book provided allows guests to follow along with graces before and after each delicious vegetarian meal. The Dai Bosatsu is a four-season attraction. Snowshoe in the winter or take one of the many courses (ie Tai Chi) offered at the neighbouring guesthouse in the summer. Long walks in the surrounding woods are also highly recommended as good for the soul with Buddhist quotes and stone Buddhas that pop up here and there in the forest lending a helping hand on your spiritual path to enlightenment. Be warned that the rooms are spartan and the bathrooms communal. (Did I mention this was a monastery?) Rooms are humbly decorated with a futon mattress on the floor (which guests make themselves upon arrival), a reading lamp, and – if you’re lucky – a Japanese calligraphy painting. 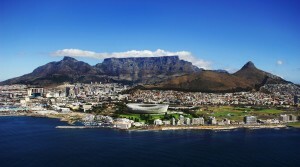 Don’t be deterred – it didn’t stop the Dalai Lama and Gwyneth Paltrow from staying. Those interested in learning about Zen are advised to read up a little before participating to have a better understanding of the religion. A fully stocked library on the upper level of the monastery offers a great resource on the religion and the monks themselves are extremely approachable and open to discussion. Even so, their brief lessons in silent and motionless meditation don’t quite prepare most visitors for the leg-cramping, sneeze-suffocating exercise that lasts for 30-50 minutes at a time. There is some leeway of course to scratch and satisfy the odd itch discreetly under the large Japanese robes provided. The robes also serve the secondary purpose of creating the illusion that everyone knows what they’re doing in order to make the experience all the more authentic. But while many don’t walk away Zen Masters most guests claim to be a little calmer, a little more enlightened and oddly enough, inspired to take up a stretch class at their local gym.